The emergence of the Internet has unlocked the gates for many opportunities in the field of entrepreneurship, isn't it? We also echo the view that websites can now be used for practically any purpose. 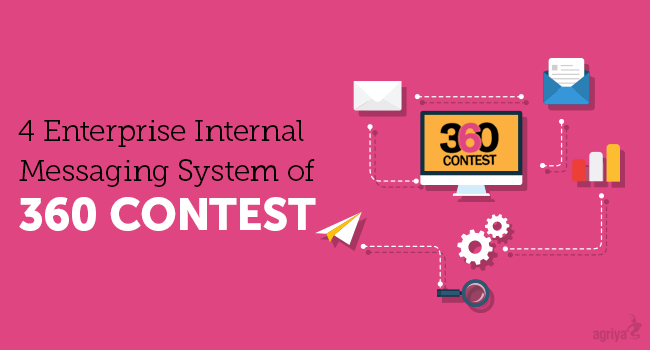 To that end, acclaimed web development company, Agriya, has developed a contest script called 360Contest. A website that is developed using this script allows firms and individuals to hold design, audio, video and text competitions. Uncompromising entrepreneurs, having a knack for success, can use this leading-edge script to build their contest website in just a matter of 48 hours. This script resembles the successful platforms like 99designs, logo tournament, design contest, design crowd and crowd spring. In this post, let us delve into features aspect of the script, which also has great designs and numerous revenue generating options. Let us turn the spotlight on some of the features like internal message board, email notification alert, contest discussion board and bulk email option. Internal message board: This cutting-edge feature offers a bilateral communication between webmaster and contest holder, webmaster and participant and contest holder and participant. Email notification alert: Any activity taking place on the contest website will be notified to the webmaster and the users using the email notification feature. Both webmaster and users will receive alerts on what is happening on the platform. Contest discussion board: Contest holder and the participant can hold a discussion using this feature. The discussion can be a private one between the contest holder and a particular participant, or a one that is public. This is a feature that promotes user-friendliness on the platform. Bulk email option: There may be important updates, offers or discounts on your contest platform. In this context, using the bulk email option, the webmaster can easily get into contact with the participants and contest holders. This enables the webmaster to directly reach out to the users. Along with the above mentioned features, many more have made their way into this amazing contest script. Not to forget the mention of the website's adaptability, this script helps your website to tune to numerous business verticals. Bottom line: True to its name, Agriya's contest script – 360Contest – is universal, as it can hold contests on designs, video, audio and texts. To gather more details about this next generation script, get in touch with Agriya's support team immediately.